Fisherman Jan Erik Fiskerstrand, whose boat was one of the first to come to help Viking Sky, told Aftenposten newspaper, "it was just minutes before this could have gone really wrong". The ship could have hit the rocks "if they had not started the engine and fastened the anchor" he added. The cruise's operator said 436 guests and 458 crew remained on board. 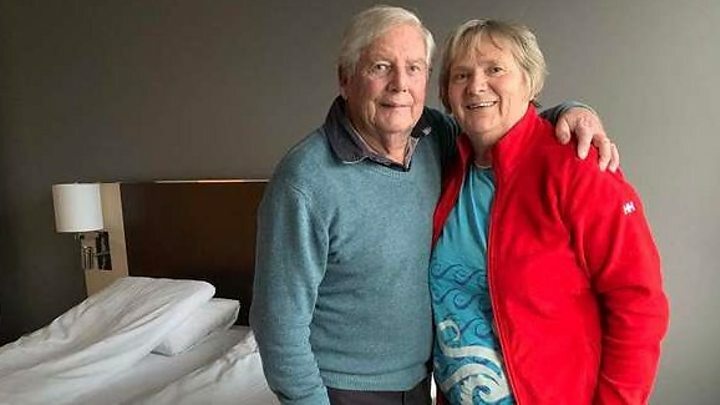 Derek Browne, from southern England, who was travelling with his wife Esther told the BBC the ship had been "rolling and rolling" all night on Friday before losing engine power on Saturday. He said being airlifted to safety was "quite a frightening experience". One of those still on board, Lara from Birmingham in the UK, said "the crew were magnificent and have kept the remaining passengers safe, warm and fed". The company said "throughout all of this, our first priority was for the safety and wellbeing of our passengers and our crew". Trevor English, an engineer and technical author based in Texas who has written about the workings of cruise ships, told the BBC that thousands of cruises take place each year and this type of failure - or combination of failures - is rare. 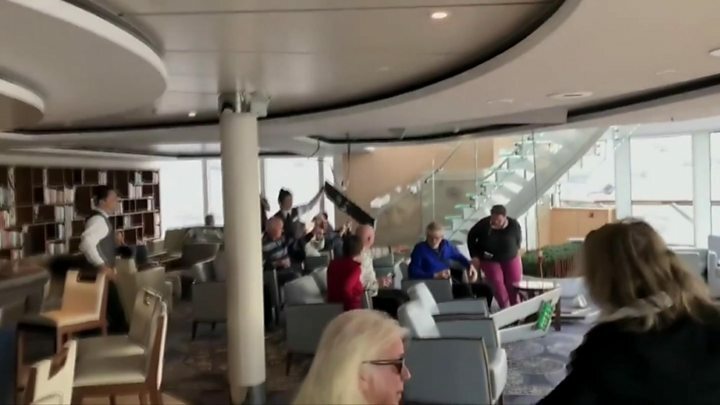 "It's important we understand that the engineering of these ships are held to high standards," he says, adding that while vessels such as the Viking Sky have four engines, "it's possible for components to break that could cause the entire power system to fail". He continues: "What makes this event unique is the storms. In many cases, if engines are lost, they can be restored quickly with no issue. "While one engine on the Viking Sky was soon restored, the storms made the lack of propulsion especially dire," Mr English says. He adds that cruises on large vessels are generally very safe, but: "Like everything we choose to do in life, it's an evaluation of risk." Are you in the area? If it's safe to share your experiences, then please email haveyoursay@bbc.co.uk.